Compliance refers to the application of specific mandated internal controls while assurance is concerned with comfort that risk has been adequately managed. Continuous Compliance and Assurance is an ongoing process of proactive risk management that delivers predictable, transparent, and cost-effective results to meet information security goals. NNT continuous compliance and assurance will alleviate these pain points by increasing internal transparency and control while simultaneously decreasing day-to-day responsibilities and overhead. 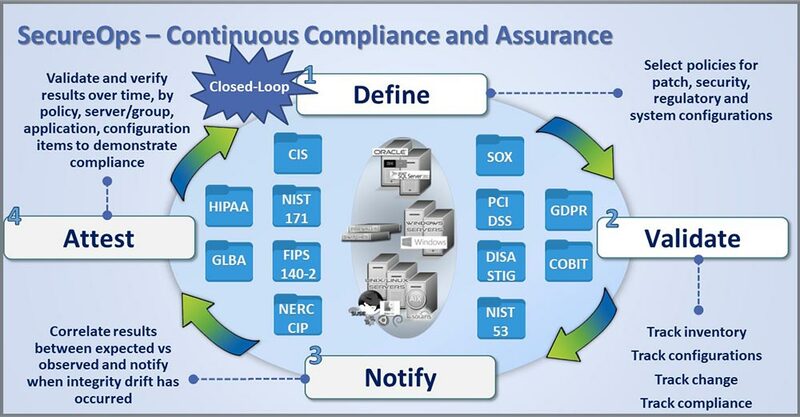 Continuous assurance gives peace of mind that the state of compliance is ongoing rather than just an expired snapshot. By implementing continuous compliance and assurance, organizations can rest assured that their information assets are protected at all times. Ultimately, operational costs will be lowered and compliance processes will be simplified. Continuous compliance and assurance streamlines the audit process by removing the need for internal audit staff to spend countless hours gathering evidence to present to external auditors. By enabling workflow automation that monitors and tracks security risks, and their response to those risks, organizations know they are in compliance in real-time rather than waiting to find out whether they pass or fail their external audits. 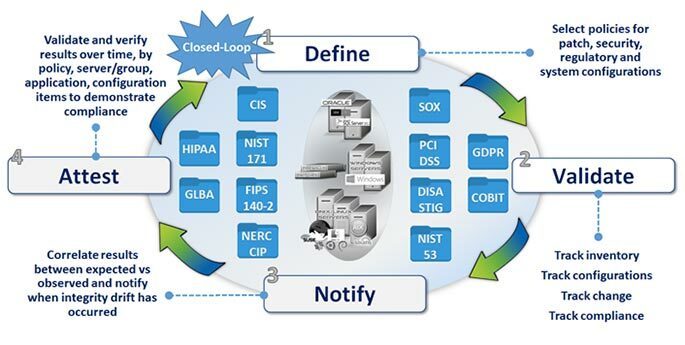 NNT has predefined policies that can be applied in a matter of seconds to determine if systems are in compliance. NNT can automate the process of compliance validation and provide descriptive details on how to rectify if compliance drift has occurred. NNT will discover, validate, notify and attest to a systems compliance requirements while also determining the integrity of the actual files themselves. NNT can immediately validate and verify compliance requirements and mandates are being adhered to.